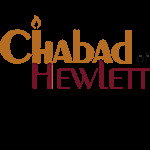 Chabad of Hewlett is a vibrant center for Jewish life catering to the communities Jewish and social needs. Chabad of Hewlett is dedicated to serving the Jewish community with Ahavas Yisroel – an unconditional love and concern for every Jew, regardless of age, background, affiliation, or level of observance. We are the address for all your Jewish needs. We offer a wide range of activities, classes, lectures, and social events for kids and adults. Chabad of Hewlett strives to ensure Jewish continuity through increasing Jewish pride, knowledge, and commitment and works to overcome differences between Jews by creating a caring, non-judgemental environment. We believe in the right of every Jew to experience the beautiful treasures of our Jewish heritage, regardless of religious background or financial status. , toward the goal of making our world a fitting dwelling place for G‑d. Your financial contributions allow Chabad of Hewlett to continue our important work. All of our budget comes from and stays in the Hewlett community. Contact us for a special dedication opportunities.